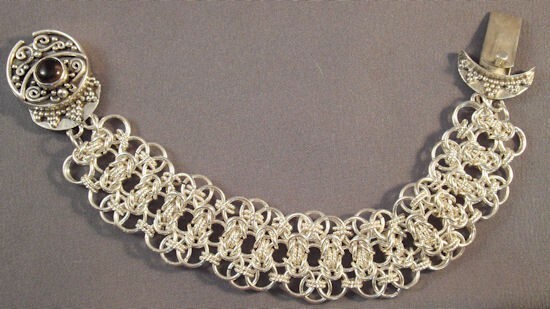 The Chainmaille Lace Bracelet is made of a combination of sterling silver smooth and twisted rings that sparkles and shines. It is a supple bracelet that has a wonderful presence on the wrist. You will find this a fun project to make. The clasp is not included. It is an intermediate project for those who have already made a couple of beginner pieces.